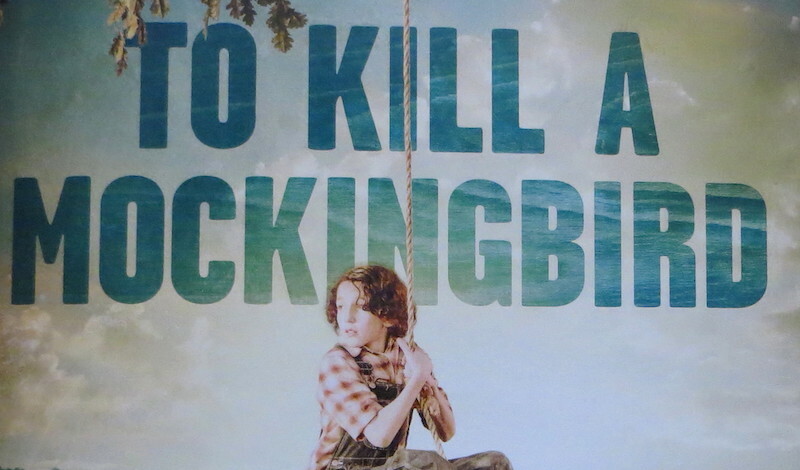 The full 2019 UK tour of To Kill A Mockingbird has been cancelled following threats of litigation from the American rights holders. The tour producers announced today, January 21, that the company behind the current Broadway production of the Christopher Sergel adaptation of Harper Lee’s novel have claimed word-wide exclusivity to the show. The proposed UK production was already in rehearsal, ahead of opening at the Curve on February 7. It was due to play the Edinburgh King’s from Monday 1 – to Saturday 6 April. All ticket holders will get their money refunded. Those who paid with a credit or debit card will be automatically refunded. 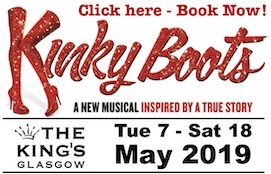 Anyone who paid in cash or with a voucher should contact the King’s Box Office directly on 0131 529 6000. The news comes just days after the Festival Theatres Trust which runs the King’s announced the cancellation of the Doctor Doolittle tour which had been due to play its sister venue, the Festival Theatre, in May. The announcement of the latest cancellation came in a statement issued this afternoon, Monday 21 January 2019, from the joint producers Jonathan Church Productions, Curve Theatre, Leicester and Regent’s Park Theatre. “Jonathan Church Productions, Curve Theatre, Leicester and Regent’s Park Theatre announce the cancellation of the UK and Ireland tour of Harper Lee’s To Kill A Mockingbird following an exclusivity claim brought by the producers of the Broadway production. “It is with regret that the forthcoming UK and Ireland tour of To Kill a Mockingbird, previously announced on 16 July, 2018, has been forced to cancel. “The Christopher Sergel adaptation of the novel was licensed to Jonathan Church Productions by Dramatic Publishing Company. However, on 11 January, 2019, lawyers acting for Atticus Limited Liability Company, the company formed by producer Scott Rudin for the current Broadway production of To Kill a Mockingbird, contacted Jonathan Church Productions, Curve, Regent’s Park Theatre and all the venues due to receive the production, claiming worldwide exclusivity in the professional stage rights to To Kill a Mockingbird. “This statement conflicts with the licence issued by Dramatic Publishing Company. It also seems to be at odds with the fact that many professional productions of the Sergel adaptation have been staged in the UK previously under what are understood to be similar licences from Dramatic Publishing Company, including those produced by the Touring Consortium Theatre Company (2011), Royal Exchange, Manchester (2013), Regent’s Park Theatre (2013), and Octagon Theatre, Bolton (2016). “It appears there may be a difference of opinion as to exactly what rights were originally conferred to Dramatic Publishing Company in 1969 by the Harper Lee Estate. Nevertheless, despite those involved in the UK tour having acted in good faith at all times, Atticus Limited Liability Company made it clear that they would commence legal proceedings against the tour’s producer, originating theatre and all venues where it was due to be presented if the tour were not cancelled with immediate effect. Atticus Limited Liability Company were unwilling to consider any compromises which were proposed to resolve the situation without lengthy and costly legal action. “Jonathan Church Productions, Curve and Regent’s Park Theatre are deeply saddened to have been forced into the position of disappointing audiences across the UK and Ireland. We would like to thank all those who have already purchased tickets, and those currently working to recreate the show which had been in rehearsals until today.